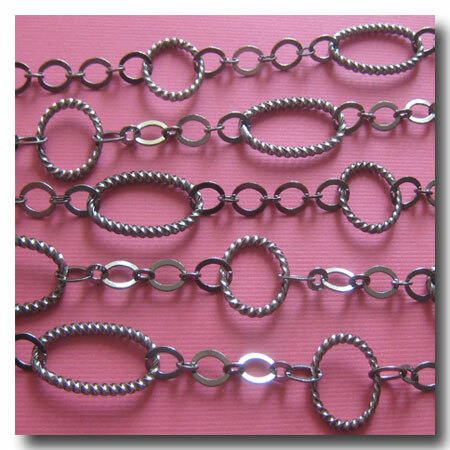 GUNMETAL CONTEMPORARY BRAIDED CHAIN. FINISH: Gunmetal. BASE: Brass base. STYLE: Contemporary. WEIGHT: Medium. DIMENSIONS: pattern dimension 3 inches. Also AVAILABLE in: Matte Gold Plate 1-108, Silver Plate 1-105, Brushed Silver Plate 1-270 and Antique Copper 1-088.